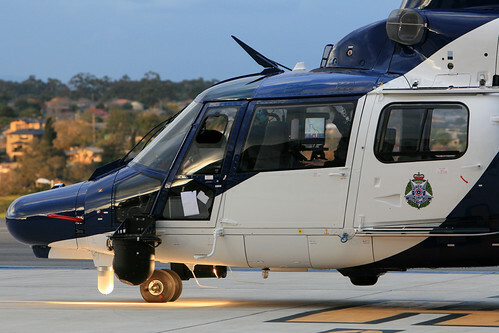 Home › Aviation › Victoria Police increase capacity of Air Wing downlink capabilty? 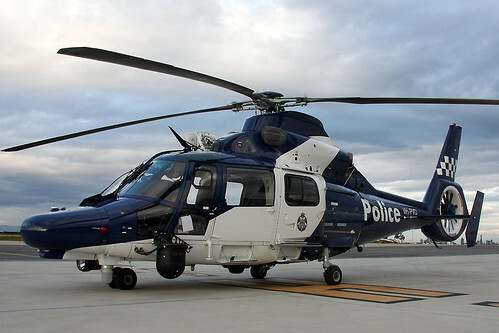 It would appear that the Victoria Police may have increased the capacity and amount of hardware in place in order to support the Air Wing rotary assets downlinking abilities. For those unaware the ability to downlink permits the air wing assets to send audio and visual footage from its onboard cameras and F.L.I.R to selected ground locations and other assets along with other data and information. This appears to have come by the provision of additional Cobham equipment in place at selected facilities. Previously there had been more air wing assets than hardware in place at these locations, however with the additional equipment install the Air Wing could in theory have all four of its helicopter fleet providing a downlink capability at the same time provided all of the helicopter fleet had the required cameras and equipment installed on them. The Victoria Police currently operate four helicopters, these being 3 x Eurocopter AS.365N3 Dauphins and 1 x Eurocopter EC-135T2i. ‹ Site updates, a discovery & a big THANKS! I have been in the control room and witnessed the link. The large monitor has provision for 4 feeds. I must say that the quality was not brilliant.